While touring about America’s roadways, it’s not unusual to see a vanity plate or bumper sticker that says “God Is My Co-Pilot”. 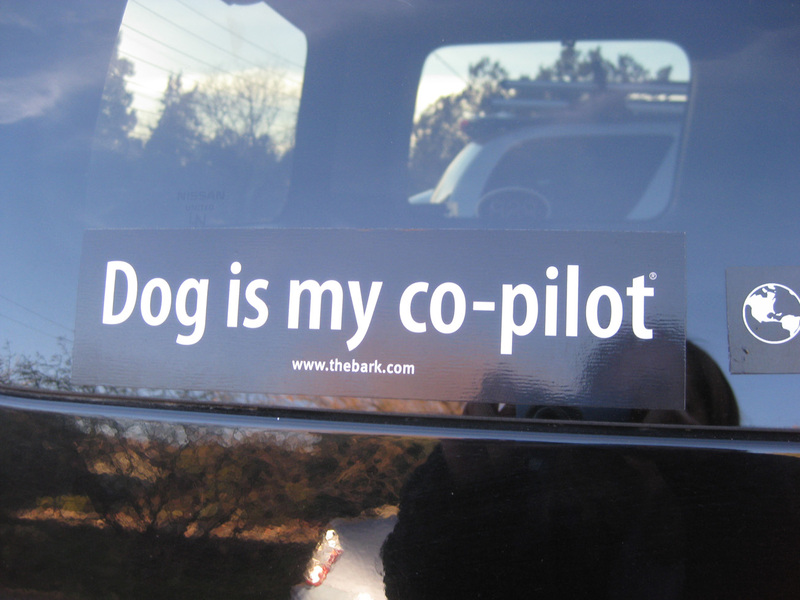 It’s not unusual to see someone with a dog as a co-pilot. Can a corporation be your co-pilot? It’s a common sense argument based in the reality that corporations are a legal fiction and not a real person. We’ve seen this argument in play here and in other media since the controversial – many if not most might say ridiculously bad – decision of Citizens United was rendered in 2010. But will it work in traffic court? University of San Francisco law professor Robert Talbot says “A court might say, ‘Well, it says person, and a corporation is a person, so that’ll work for the carpool lane. It’s possible, but I doubt it.’” A statement I must agree with because under California law Vehicle Code § 470, a person is defined as “a natural person, firm, copartnership, association, limited liability company, or corporation.” Mr. Frieman has broken down his argument in an opinion piece posted to the San Rafael Patch site dated May 14, 2011. Will it work? It’s possible but not likely as the judge may find the the argument steers too far from the intent of carpool lane laws. Considering how specific the language of the California Vehicle Code is though in defining corporations as people though, the argument is not without merit. We’ll find out when Mr. Frieman goes to traffic court tomorrow, Monday, January 7, 2013. Or we might not if the officer doesn’t show up for court and the ticket is dismissed. As an argument, it is an interesting play nonetheless. Do you think the argument could work? Do you think the argument should work? The news report show the man was found guilty, relying on the legislative intent. I am a bit surprised that no one on this blog argued that the view of the legislative intent I expressed above was flawed. The statute expressly provides that the intent is to reduce traffic, but the law does not limit the carpool lanes to cars with more than one person of driving age (i.e., a driver and an infant qualify for a two-person carpool.) Consequently, to say a corporation does not qualify because it cannot drive (arguably) is not persuasive.